SONOMA COUNTY ART TRAILS–I’M ON IT! New tour! New studio! New work! Same ol’ red hair and smiling face. There’s room to SIT DOWN in my new studio! I have lots of NEW WORK, too! New framed fiber pieces, too! 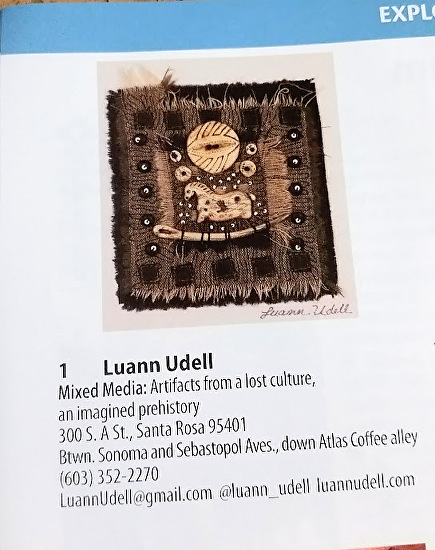 I’m delighted to be a new artist (#30) on the prestigious Sonoma County Art Trailes, a self-guided tour through the open studios of more than 175 artists and craftspeople throughout…well, throughout Sonoma County. The tour covers the next two weekends in October, Saturday and Sunday, 10-5, Oct. 10 & 11, and Oct. 17 & 18. I have new framed fiber pieces, new small antique box ‘installations’, featuring my handmade artifacts and small sculptures. I have new jewelry, too. So come on down to 300 South A Street in the SOFA arts district in Santa Rosa, between Sebastopol Ave. and Sonoma Ave. There are eight artists on the Tour here. I’m by myself, down Atlas Coffee Alley, down the side of Gallery 300. There will be many bright blue signs showing the way; look for the cerulean blue door in the alley, that’s me! Studio #30. For more information, visit http://sonomacountyarttrails.org/ where you can also download a copy of the catalog (if you don’t have one yet) and maps of all the studios. (The one with me on it ishttp://sonomacountyarttrails.org/wp-content/uploads/2015/08/MAP-15-SR-Coast-v2.pdf. 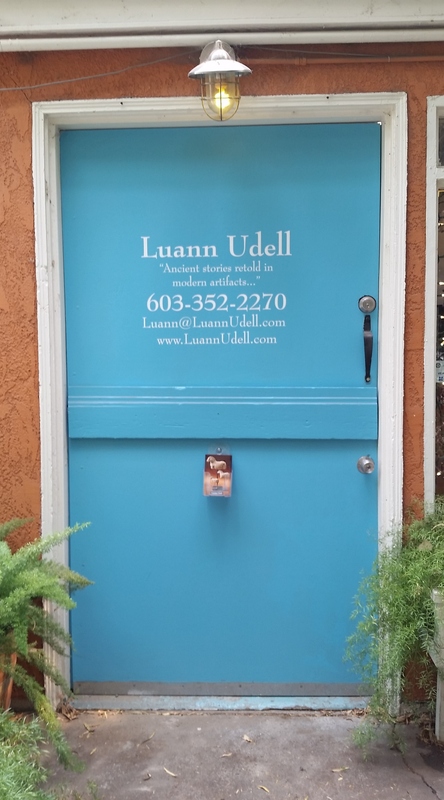 Author Luann UdellPosted on October 6, 2015 October 6, 2015 Categories Open studio announcementTags Luann Udell Open Studio, new work by Luann Udell, Sonoma County Art Trails 20153 Comments on SONOMA COUNTY ART TRAILS–I’M ON IT!